On Thursday 26 April - a special Q&A climate debate followed the screening of the documentary I Can Change Your Mind About Climate on ABC TV. Tony Jones was joined by Anna Rose, Nick Minchin, Clive Palmer and Rebecca Huntley to answer your questions. Marc Morano's objections to scientific evidence of anthropogenic global warming and the risks it creates are underpinned by an ideology that is crucial to those who subscribe to it. "You are the face of one of the greatest threats of our liberty, and that is intellectual, international bean-counters trying to control average people's lives because they think they know better how people should live, because people left to their own devices will somehow destroy the planet." Compare this statement with Adam Smith's "invisible hand" - that rational self-interest in a free-market economy leads to economic well-being, and is THE central justification for the laissez-faire economic ideology. Adam Smith never contemplated an "invisible hand" to mean scientific knowledge was to be dismissed when it suggested rational self-interest was best served by a change in economic behaviour. Innovation and economic growth is driven by scientific knowledge. Marc Morano's diatribe in which he asserts Anna Rose is the face of a threat to "liberty" has confused irrational and uninformed action with the rational self-interest of the "invisible hand" of which Adam Smith wrote. Climate sceptic Dr Fred Singer said "The Kyoto Protocol [is] part of the anti-technology, anti-energy, anti-growth philosophy of the extreme 'greens.'" And also "When you have a particular point of view ...you become selective in the way you present your observations." What are the Q&A panelists thoughts on Dr Singer's mistaken observation: "We're being asked to reduce energy use [sic], not just by a few percent but, according to the Kyoto Protocol, by about 35 percent within ten years."? Note: The Kyoto Protocol describes reductions in EMISSIONS. It says nothing about reducing ENERGY USE as Dr Fred Singer mistakenly observed. "The Kyoto Protocol aims to reduce the collective greenhouse gas emissions..."
Post-combustion Carbon Capture and Storage (CCS) provides a justification to continue construction of coal-fired power stations. It holds out a promise of one day being able to reduce emissions of such power plants. Once a coal-fired power plant is constructed, the coal industry is guaranteed a customer for at least 40 years. Gasification of coal with pre-combustion Carbon Capture eliminates the reason for constructing any new coal-fired power stations. Once converted to gas, the fuel can be used in high-efficiency combined-cycle gas turbine (CCGT) power stations. In addition a number of toxic components of coal such as mercury can be economically removed when the coal has been converted to gas. The demand for coal would go down when natural gas prices fall. There would be no guaranteed demand to provide fuel for new coal-fired power stations. A gas-fired power station achieves 60 percent thermal efficiency, much higher than the 40 percent for advanced coal-fired power stations. This difference also results in lower demand for coal. With more than 50 licensed facilities in China, GE’s gasification technology is one of the most widely deployed in the industry, while Shenhua is one of the world’s largest coal and energy companies, with integrated coal production, power generation, railway, port and shipping infrastructure. Putting the final seal of approval on the project GE Energy Thermal Products president and CEO Paul Browning concluded, “Coal plays an important role in the economies of both the U.S. and China, and gasification technology allows us to use this abundant and low-cost resource in a much cleaner way. The emphasis shift in coal power generation from thermal plants to utilizing IGCC technology is a key element in the Chinese leadership’s efforts to maintain its economic momentum by providing its vast industrial base uninterrupted power supplies. 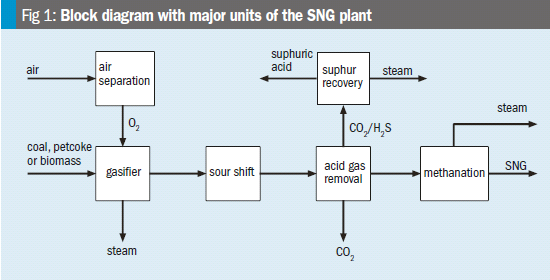 "Rocketdyne coal gasification provides an alternative fuel source", February 2012. "Topsoe new Coal to SNG plant for the Yinan Substitute Natural Gas (SNG) Project", March 2012. India needs to master the coal-gasification technology so as to boost both energy efficiency and attendant security. 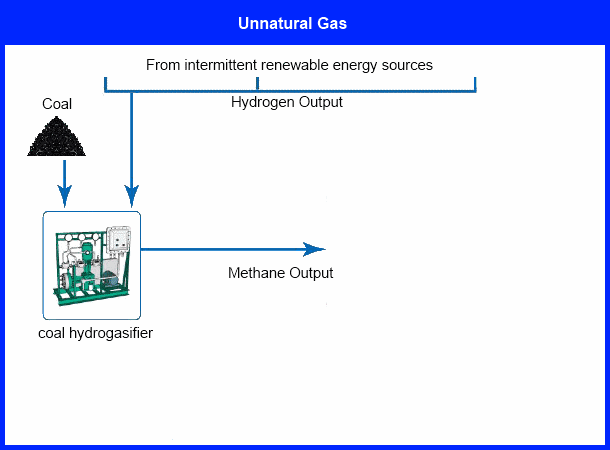 ...Integrated coal-gasification combined-cycle (IGCC) power plants, which incorporate both gas and steam turbines, vastly improve the conversion of coal energy into usable electricity. Note that while the efficiency rate is just about 30% in standard coal-fired stations and 40-odd per cent using super-critical technology, the mavens hold that, in future gasification plants, the ratio could touch 70-80%. We clearly need to adopt IGCC in a big way. NEW DELHI, March 12(Reuters) - India is at least a decade behind China in embracing technology that could convert its coal reserves into enough gas and oil to surmount chronic power shortages and halve its energy import bill of $110 billion a year. ...We all know what the carbon tax is designed to do: it is designed to reduce our use of coal and our use of gas [sic]. In other words, it is designed to limit the production, ultimately, of the minerals upon which our country so critically depends [sic]...The government’s own documents say that Australia’s energy production from coal, absent carbon capture and storage, will fall from over 70 percent right now to 10 percent by 2050. In the U.S. plans for the construction of a number of coal gasification plants have recently been put on hold. The reason: a massive over-supply of natural gas in the U.S. has dramatically lowered the price and the continued use of coal is for the time-being at least, not competitive. The share of U.S. power generation that comes from coal has fallen to near a 35-year low, as electric power plants shift to cheaper natural gas. Although coal is still the main fuel for electricity generation, its share of monthly power generation in the U.S. dropped below 40 percent in the last two months in 2011, according to the Energy Department. The last time coal's share of total generation was below 40 percent for a monthly total was March 1978. "Natural gas combined-cycle units operate at higher efficiency than do older, coal-fired units, which increases the competitiveness of natural gas relative to coal," the Energy Department said in a statement. Natural gas prices have continued their downward trend this winter as a result of warmer-than-normal temperatures, ample natural gas in storage and growing natural gas production, which has been boosted by companies tapping so-called shale reservoirs using a technique called hydraulic fracturing, also known as "fracking." This is not a discussion about the carbon tax. It is also not a discussion about renewable and non-renewable energy sources. 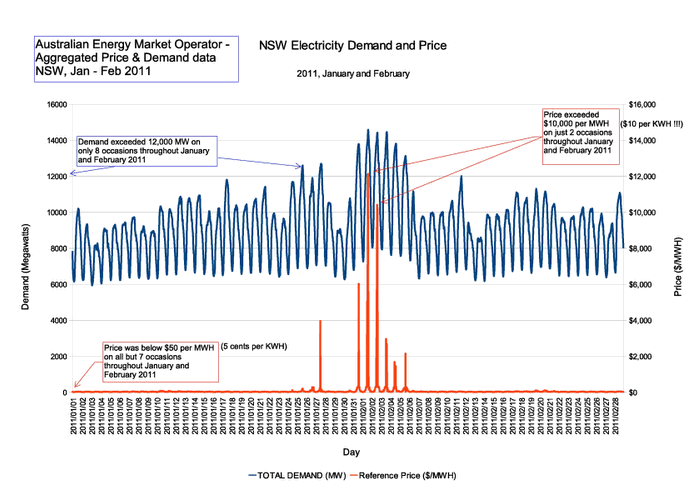 This discussion is on another cause of soaring electricity prices in Australia and for now is a brief summary of a number of ideas that different organisations and people have raised. When the noise over the carbon tax dies down and attention moves to renewable energy versus non-renewable energy, the issue of cost-effective grid capacity for extreme peaks in demand will still need to be addressed. There is and has been very little public debate on this costly issue. "...an increase in the ratio of peak to average electricity demand lowered average rates of capacity utilisation. This was largely attributable to rapid growth in household use of air conditioners." The view by the Productivity Commission is reflected in various places. AGL: $1.5 billion power plant "switched off for months on end"
"Clean Energy Council chief executive Matthew Warren said electricity prices were likely to go up by 100 per cent between 2008 and 2015 due to network costs that came from increased peak demand." Encourage customers to cut peak electricity use. Roll-out of smart meters to allow increase prices to be levied during peak periods. Provide smart appliances that can have energy use limited in peak periods by the electricity supplier. Increase electricity supply in peak periods. 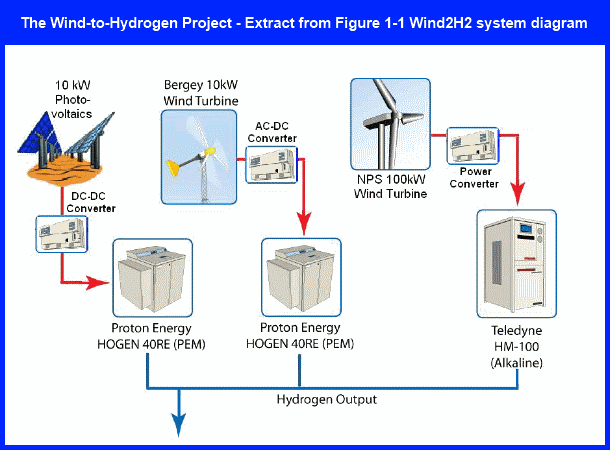 Trigeneration systems to generate power, heat and cooling in peak periods. Batteries to store energy in off-peak periods and discharge energy in peak periods. RMIT Adjunct Professor Alan Pears says Australia has to reduce electricity demand at all times of the year: "The rules of the energy market need to change in a pretty serious way so that energy networks have a financial incentive to help people to save energy rather than to get them to use more." In the US, where energy saving has been big for decades, you can read your usage in real time, online. In 2008 15.2 trillion kWh were saved. Innovate - "An air-conditioning system that can reduce energy consumption and greenhouse gas emissions in commercial and industrial buildings by up to 85 per cent has won the 2011 Australian Clean Technologies Ideas Competition. SMAC Technologies was announced as the competition winner at an awards gala dinner in Sydney..."
The third option can have the opposite effect if the savings are made without slowing the growth in maximum peak demand. During the recent drought in Sydney when calls to cut water consumption were heeded, the price per kilolitre of water was raised to maintain revenue. "In addition to increased household consumption, it is peak demand that is really growing at an extraordinary rate and putting pressure on our electricity grid and prices. Over the period 1998 to 2010 Brisbane saw a 35% increase in the number of households. At the same time peak electricity demand increased by 104%, and the number of households with an air conditioner installed increased from 23% to 72%, with 34% of homes running two or more air conditioners. Reducing or moderating the increase in peak demand is an important objective. One measure to achieve this – and Victoria is leading the nation in this respect – is the deployment of smart-meters. If the functionality is enabled smart-meters can allow time of use pricing so that consumers see higher costs at times of higher demand." "For many South Australians first quarter electricity bills will reach new heights driven up by record levels of electricity consumption during the recent heatwave. Some households however, will have lower bills than expected, not because they are being more energy efficient, but rather because they lost power for long periods of time during the blackouts. The blackouts forced thousands of households and businesses to go without power for hours in the middle of sweltering heat. A preliminary report on the blackouts by the Essential Services Commission of SA (ESCOSA) shows that the number of customers affected far exceeded the initial estimate of 50,000. In fact around 63,000 customers representing nearly 10 percent of the SA customer base were affected. Around 1000 customers were without power for over 12 hours." "Heatwaves are increasing in frequency, intensity and duration, and are associated with an increase in mortality"
Instead of attempting to discourage use of energy in extreme peak periods with very high electricity prices, and instead of investing in energy generation and distribution capital that is only needed for very small periods each year, a less-expensive approach is to make additional use of existing equipment on those few occasions when extra energy is needed. Hybrid electric vehicles such as the Toyota Prius have onboard engines/generators able to produce 50 kilowatts of electrical energy or more. Connecting hybrid electric vehicles to natural gas fuel lines in their owners' garages and dynamically scheduling them to generate power or shutdown in response to demand by a Smart Grid supply management system provides a possible low-cost solution. Petrol in the vehicles' fuel tanks would be used when the vehicles were being driven, and not when garaged and generating electricity. A federal coalition government could encourage big business to "bid" to use less energy on peak-demand days as a way of reducing future electricity price rises for households. Climate action spokesman Greg Hunt says a coalition government would limit power bill rises by ... looking at incentives for so-called demand reduction. Network costs are to blame for the significant increases in power bills over recent years. "Demand reduction bidding is an incredibly effective means of reducing the pressure on capital expenditure." Mr Hunt said such bidding would require a change to the current regulatory regime. But he met with a major energy company last week to discuss such a mechanism. This includes a discussion of U.S. measures implementing "demand reduction" along the lines coalition Climate action spokesman Greg Hunt first raised publicly on June 14, 2012.